Mary Lou Bruner believes public Pre-K indoctrinates children with pro-gay beliefs. Mary Lou Bruner is at it again! 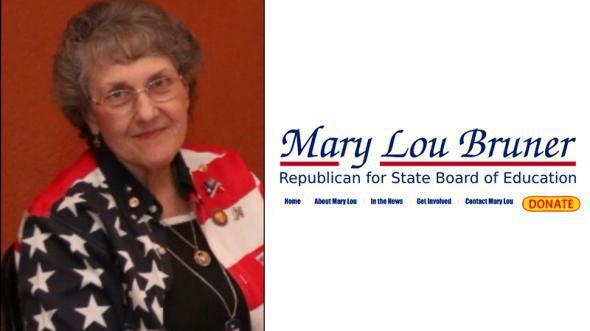 You have to give credit to Mary Lou Bruner, the probable newest member of the Texas State Board of Education come November: Her far-right-fringe worldview is nothing if not coherent. In an election season where front-runners can’t decide whether they’re for or against immigration or the Trans-Pacific Partnership or a higher minimum wage, Bruner’s convictions never waver despite the seldom-flattering national attention she continues to receive. Bruner’s latest target is federally subsidized Pre-K programs, which Obama has repeatedly proposed expanding and which several erstwhile (like Jeb Bush) and current (John Kasich) GOP candidates have also supported at one point or another. According to a Gallup poll, 70 percent of Americans are for using federal money to expand Pre-K access. But Bruner has never been one to be swayed by popular opinion. In a Facebook prose-poem broadcast on Twitter by Texas Tribune CEO Evan Smith, the favored candidate for the District 9 state board of education seat sets us straight: Federally funded Pre-K is, in fact, just another front in the great liberal conspiracy against God-fearing Christians, handcrafted to indoctrinate the youth of America with a pro-gay agenda. Anyway, totally. Expanding Pre-K has nothing to do with the extortionate cost of child care in this country, or the numerous studies that suggest varied longterm benefits—not only to kids but to whole communities—of quality programs. It’s all about the gays. So why are this woman’s rants so newsworthy? Well, there are 5 million kids in Texas schools, and many others who are assigned textbooks made-to-order for Texas. If Bruner wins her special election for the Republican nomination on May 24 (likely, since on primary day she came in just shy of the 50 percent threshold to avoid a run-off) and then wins the school board seat in November, we might all be hearing a lot more about her wacky-but-deeply held beliefs about how the world really works.